When Joseph Baldwin, an innovative educator, opened a school in the 1860s, he probably did not expect for it to have such a big impact. 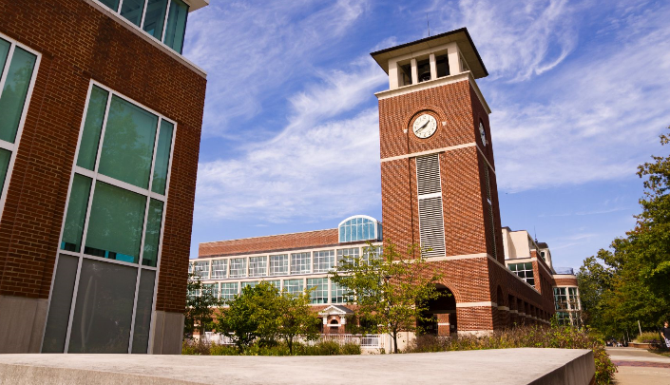 Originally founded as a teacher’s college, Truman State University has evolved into Missouri’s only public liberal arts and sciences institution. The presidents who have followed in Baldwin’s footsteps have continued the tradition of making students the top priority by offering a high-quality education that prepares them for the world they will be entering. Fast forward to today and Truman continues to produce smart problem solvers who have a passion for the pursuit of knowledge, ability, community, a better world, and happiness. Truman bears a long history of name changes, each reflecting a new institutional mission. 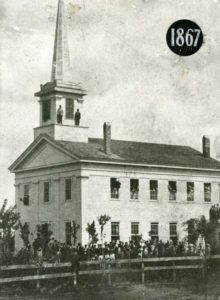 First established as the North Missouri Normal School and Commercial College in 1867, the first name change occurred on Dec. 29, 1870, when as a result of persistent leadership by Joseph Baldwin and Adair County citizens, Missouri’s General Assembly acted to make Baldwin’s private college the First District Normal School, the first Missouri-supported institution of higher education established for the primary purpose of preparing teachers for public schools. Nearly fifty years later, through an act passed by the General Assembly and signed by the Governor on May 20, 1919, the normal school became Northeast Missouri State Teachers College. Throughout its history, Truman has steadily provided leadership and reflected a spirit of innovation in response to need. Programs other than teacher education were implemented to better serve the people of Missouri. In 1967, the Board of Regents recognized the institution’s wider mission and acted to change the name first to Northeast Missouri State College, and then in 1972 to Northeast Missouri State University. Truman historically has welcomed change. To better serve the needs and actualize the potential of its students, the University has met challenges creatively but realistically. The signing of House Bill 196 on June 20, 1985, changed Truman’s mission from an open enrollment, regional, multipurpose university to the statewide, public, liberal arts and sciences institution. Truman was chosen to assume this unique role because the institution had already begun moving away from a multipurpose curriculum toward a competitive liberal arts curriculum. The state’s goal was to provide a public institution that could compete with the nation’s finest undergraduate liberal arts colleges, and stem the flow of Missouri’s best and brightest students to other states. In March 1993 Truman opted to achieve the Missouri Coordinating Board for Higher Education’s highly selective mission category. The University’s name change to Truman State University on July 1, 1996, was part of the logical progression of its new mission. In the 1970s, Truman initiated a comprehensive student assessment program to measure the quality of education at Truman. Truman has continued to build its assessment program, the purpose of which is to ensure that each of its students receives the highest-quality liberal arts and sciences education, tailored to his or her needs, and an academic degree of integrity. Numerous institutions, authors, and leaders in higher education have cited the program as a viable model to emulate in efforts to ensure educational accountability. 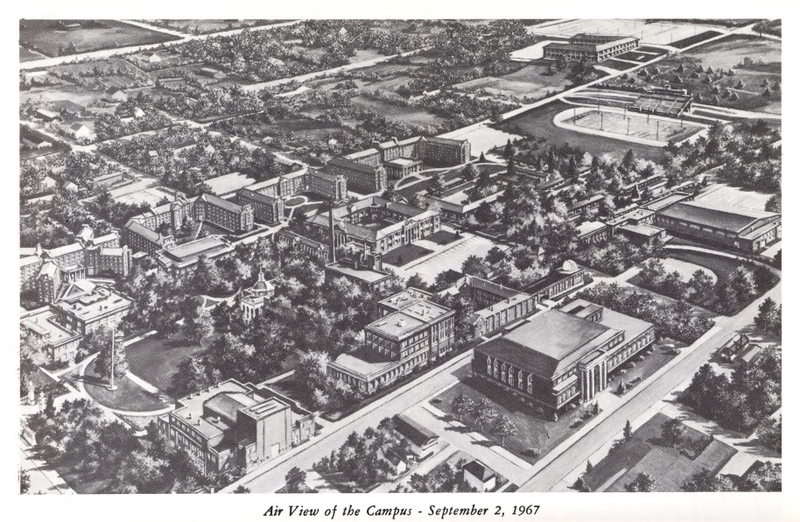 A continuity of purpose is evident in the growth and changes of Truman. The University has consistently been committed to academic excellence and has espoused the belief that a strong education is the best means of preparing for a life of continuing personal growth and service. Moreover, its historic mission to improve the preparation of teachers has prompted the University to be among the nation’s leaders in making education more professional. Commitment, unity of purpose, and concentration on student learning have brought Truman to its present mission and its strong reputation for academic excellence. This timeline illustrates the evolution of Truman State University from a training ground for teachers during its early years to a nationally recognized liberal arts and sciences institution that prepares students for success in whatever profession they pursue. Joseph Baldwin opens the North Missouri Normal School and Commercial College in Kirksville, Missouri, on Sept. 2, 1867. During the early years, Baldwin’s private school operates in a building originally built to house the Cumberland Academy, a non-collegiate coed school, which closed before the building was completed. Today, a bronze table placed upon a large boulder in Veterans Park marks the former location of the Cumberland Academy. The school’s name is changed to North Missouri Normal School. 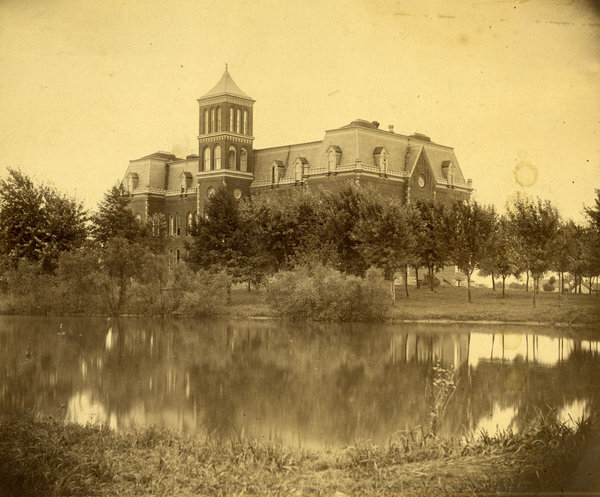 On Dec. 29, 1870, Missouri’s General Assembly makes Joseph Baldwin’s private college the First District Normal School, the first Missouri supported institution of higher education established for the primary purpose of preparing teachers for public schools. The Normal Building, later renamed Baldwin Hall in 1905, is the first building erected on the site of the current campus. It serves as the only building on campus from 1873 to 1901. Today, the Kirk Memorial dome is located on the area formerly occupied by the tower of Old Baldwin Hall. Basil Brewer writes a school song named The Purple and the White, and the school adopts purple and white as the official colors. Eugene Morrow Violette, professor of history, sees the usefulness of visual aids in teaching and begins collecting materials and artifacts representative of early life in northeast Missouri. Some of the items he collected are now on display in the Ruth Towne Museum and Visitors Center which also houses Truman’s Office of Admission. 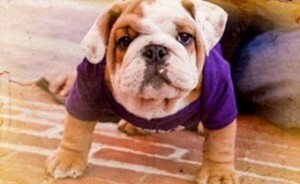 The Bulldog, a symbol of tenacity, is adopted as the official school mascot. The name is changed from First District Normal School to Northeast Missouri State Teachers College. 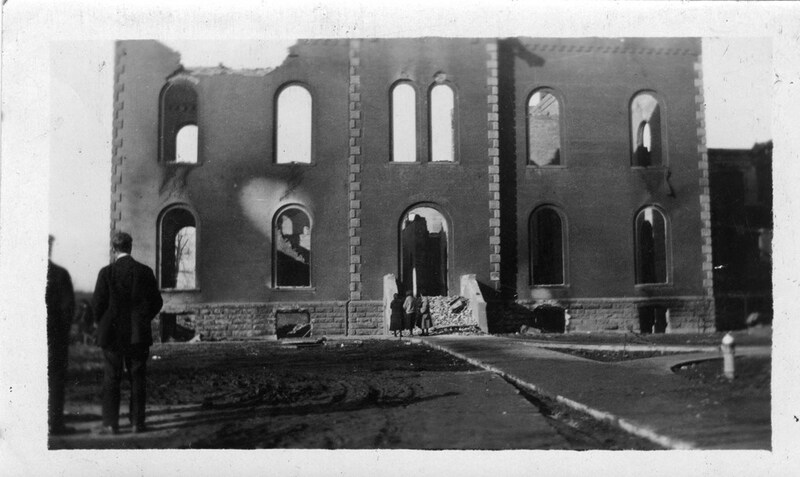 Old Baldwin Hall is destroyed by a fire. The lake was emptied to combat the fire, resulting in the Quad as we know it today. 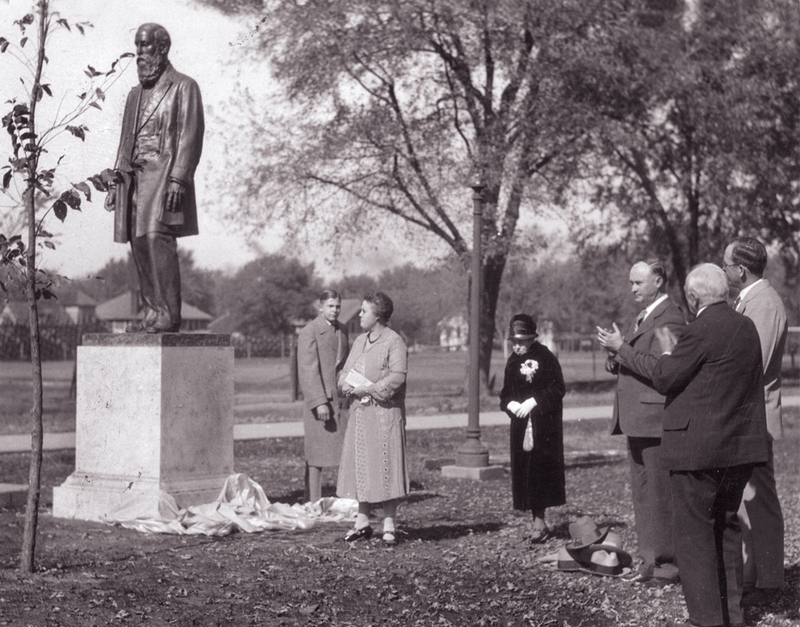 The statue of Joseph Baldwin that stands near the south end of the Quad is erected in honor of our founder’s 100th birthday, Oct. 31, 1927. The Bell Wall is built between Missouri Hall and the Quadrangle and is dedicated at the Centennial Celebration. The bells were donated by Joe Burdman, a local businessman and University benefactor. Burdman collected the five bronze bells from churches, schoolhouses and public buildings in northeast Missouri. Programs other than teacher education are implemented, and the Board of Regents acts to change the name of the college to Northeast Missouri State College. The school’s name is changed from Northeast Missouri State College to Northeast Missouri State University. The University is awarded the prestigious G. Theodore Mitau Award for Innovation and Change in Higher Education by the American Association of State Colleges and Universities. On June 20, 1985, Gov. John Ashcroft, signs legislation designating the University as Missouri’s only statewide public liberal arts and sciences university, expanding its mission from a regional to a statewide institution. The Clock Tower bells are dedicated on Oct. 16, 1992. Ruth Warner Towne (’39), the University’s first honor graduate who taught history at Truman and also served as dean of Graduate Studies from 1983 to 1988, presented the University with a gift of four bronze bells and a carillon for the Pickler Memorial Library clock tower in memory of her parents. On June 15, 1995, coinciding with the 10th anniversary of the mission change to a statewide university, Gov. Mel Carnahan signs legislation changing the University’s name from Northeast Missouri State University to Truman State University, giving the University a name that complements its statewide mission and honors Harry S. Truman, the only Missourian to serve as the President of the United States. The new name, Truman State University, becomes official on July 1, 1996. Building on its rich history, Truman State University is committed to providing a high-quality liberal arts and sciences education to academically talented students from across the state of Missouri as well as from all parts of the world. Truman attracts smart and curious students fueled by the desire to turn their intellectual and emotional connections into action, whether in a profession such as medicine or education, in an endeavor such as scientific research or business leadership, or through community and public service.